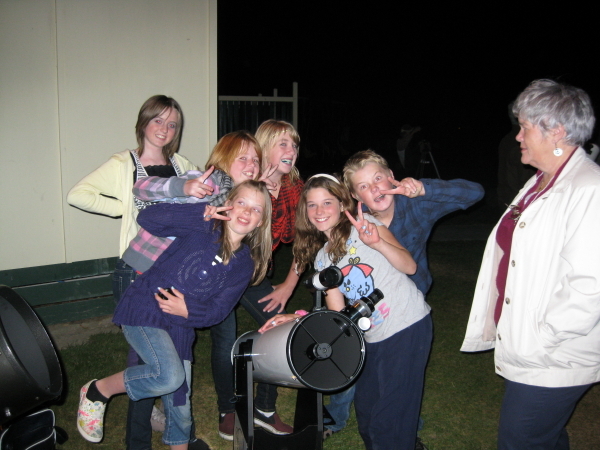 Levin Stargazers & Foxton Beach Astro Society joined the global celebrations! Sometimes the weather gods smile upon you, and last night was one of those evenings when they are not just smiling but grinning from ear to ear! 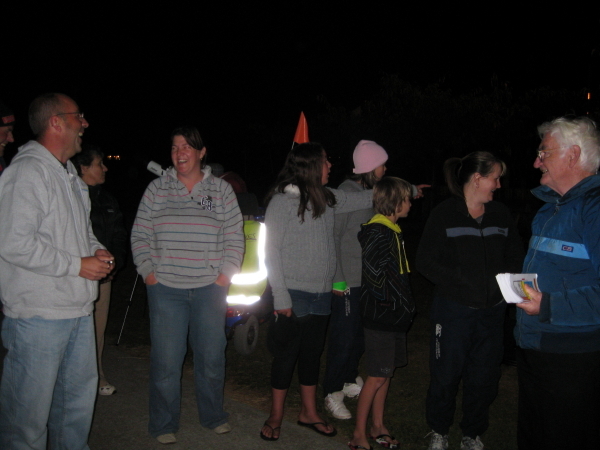 What a fantastic night to kick off GAM for Levin Stargazers and Foxton Beach Astronomical Society, who combined forces to host our first GAM event, the "Telescope Hunt". 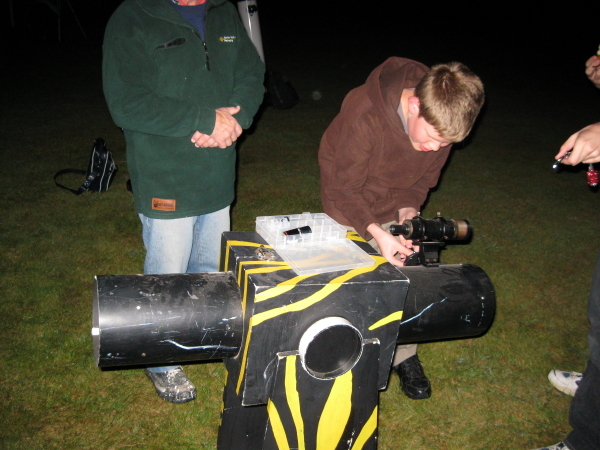 Admittedly, not as exciting as the name may suggest, but the idea was for the public to "hunt out" their old telescopes and bring them along for some pointers on how to use them and how to find good stuff in the sky to point them at, with a star party to follow. 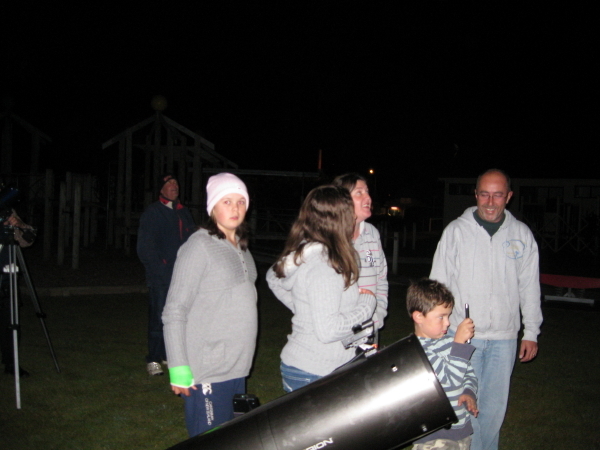 As it turned out, only one family in Levin must have a telescope they don't know how to use! In the picture below, you can just see the tripod leg and me showing them how to set it up. 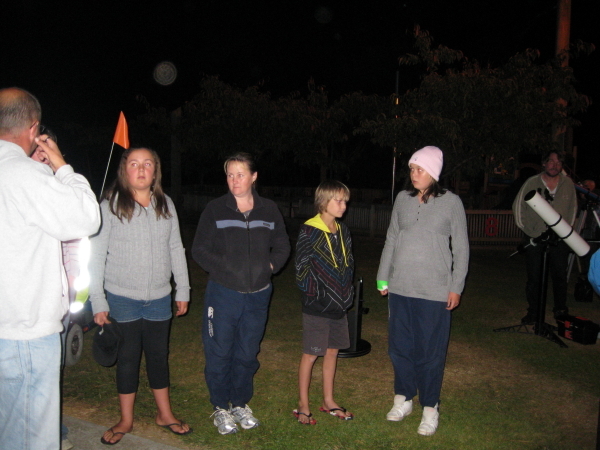 However, about 20 members of the public joined us and the green laser pointers from our club members were soon flashing around the sky as we showed them where some of the best stuff was hiding. 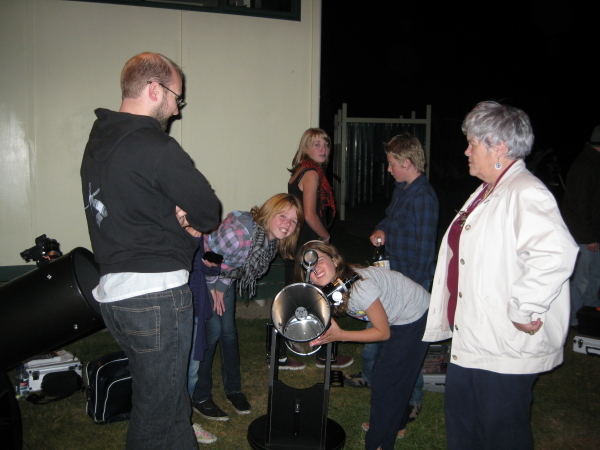 The young boy on the left in the photo above (it was his telescope I was assembling) even had a turn with my laser pointer and happily showed his sister and others the Southern Cross (Crux) and how to find the south celestial pole (SCP) after I had showed him only once! 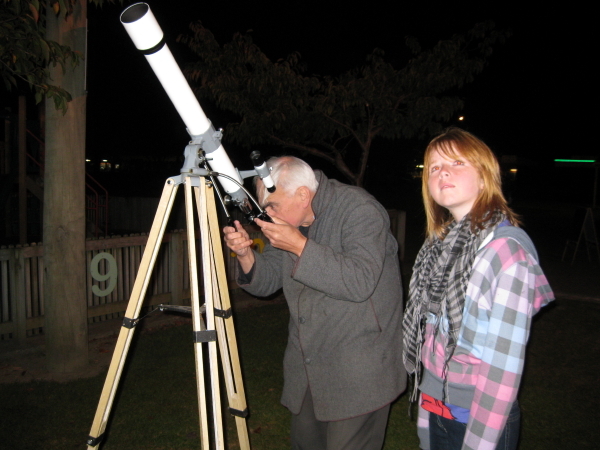 Following the laser show we had a number of telescopes set up and showed many spectacular objects in our sky - the globular clusters 47 Tucanae and Omega Centauri, Eta Carina nebula, Great Orion nebula (of course! 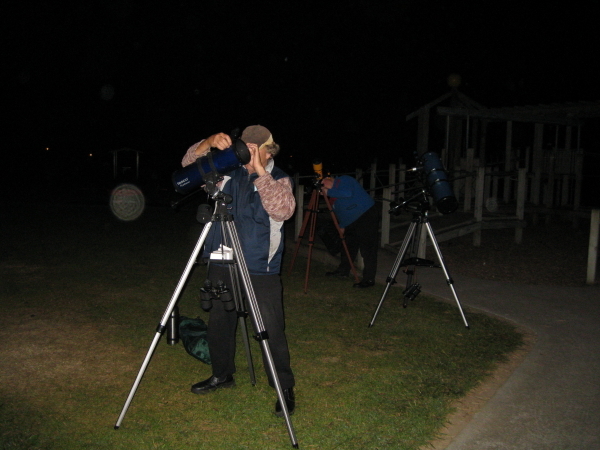 ), Mars and Saturn to name a few. 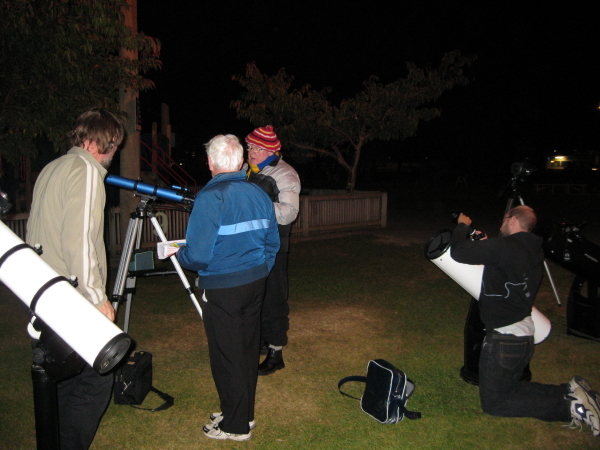 The seeing was so steady that even at 240x, Saturn was as steady as a rock and looked spectacular in the eyepiece, much to the delight of many! 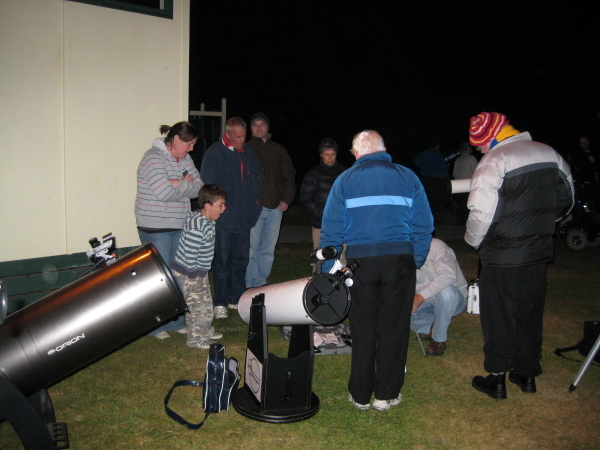 Here's a selection of images from the event, and we look forward to our really big event on April 23, the "Worlds' Largest Star Party II", a follow-on from last years 100HA event where we had around 1000 people looking through telescopes in about 3 hours!